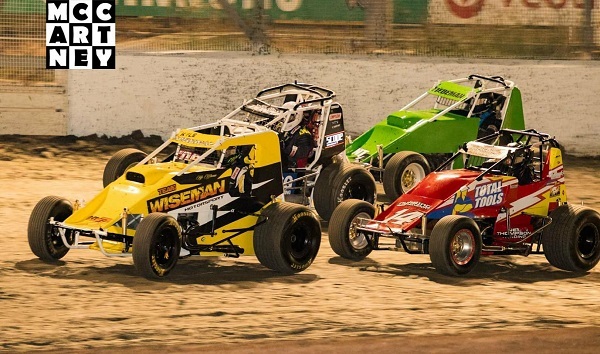 Ahead of the commencement of their 2018 season, the Northern Territory Wingless Sprint Association is currently seeking expressions of interest from drivers and teams to compete in a new series, which will consist of 10 race meetings over five weekends. While each of the 10 series rounds will be contested over doubleheaders on each of the five schedule weekends, a number of the rounds will also be run in conjunction with multiple familiar blue-ribbon events, including the Darwin Title, the Malidook Challenge, the Keenquip Feature, the four-night Milwaukee Power Tools Power Series, and the Freo Crane Hire Twin Feature Night. In order to be eligible to qualify for the final Total Tools Top End Challenge point standings, each driver will be required to compete in eight of the 10 rounds. “Not only will this new series be a fantastic opportunity for interstate drivers to get some track time under their belts prior to the start of the 2018-19 season throughout the rest of the country, it also offers the perfect occasion for teams to experience the hidden gem that is Australia’s Top End,” said NT Wingless Sprints Secretary Mike Borchardt. With a number of interstate drivers having travelled to the Northern Territory in previous seasons and enjoyed some much needed downtime and sightseeing in addition to their racing duties, NT Wingless Sprints are looking forward to welcome some more visiting drivers in the 2018 season. As they say, you’ll never never know if you never never go! To register your interest, please contact Mike Borchardt via phone on 0447089511 or via email to michael.borchardt@contractor.cop.com, or Shane Norman via phone on 0418838789 or via email to shanenorman382@gmail.com. For more information on the NT Wingless Sprints, visit their website at www.awsr.com.au/nt. You can also LIKE them on Facebook by searching NT Wingless Sprints.